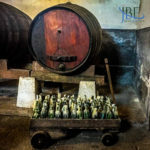 The labels wrap the wines like a Christmas present, with a script harking back to the 1930s when the Ramisco inside first took on its rarified airs. Almost too precious to open, these slim 500 ml bottles, yet after ten years the wine takes on its mature form, and offers a window to the world from which it comes: the wild cliffs overlooking the Atlantic ocean in the DOC of Colares, Portugal. 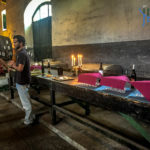 I moved here nearly three years ago, and since then I’ve studied the wines of Colares with the growing affection of a family newly found. Last summer, we met up for the first time with José and Diogo Baeta, father and son now at the helm of Adega Viúva Gomes, in Almoçageme. 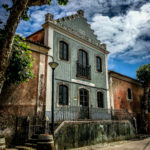 The historic building, on the main praça in town, faces the street with a azulejo-clad façade. 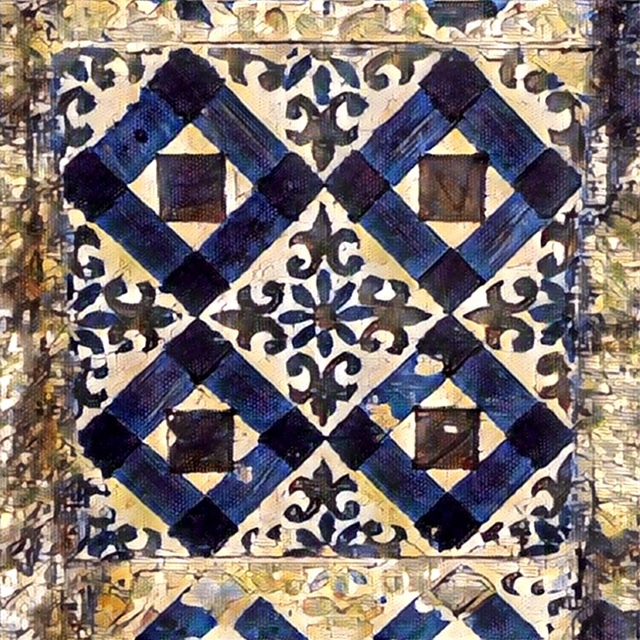 The deep green tiles, once meant as protection from fire, now serve to carry on the Portuguese aesthetic, where creating beauty out of something utilitarian is well worth the labor involved. 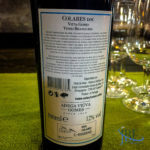 So too are the wines of Colares, which Adega Viúva Gomes produces alongside its other projects. Having run past many vineyards in the district, I asked José to point out where their particular vines lived. 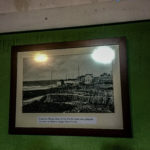 The plots of land, just a kilometer from the steep ocean bluff, nurtured bushes of grapes, untrained and close to the ground to stay out of the wind, hugging the sand in some places. The vines hail from a pre-phylloxera time, as that louse cannot thrive in the sandy soil. 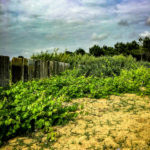 The vinhateiros in those days pushed sand up around the trunks of the vines, and used bamboo to stake windbreaks as well as some of the branches up from the ground. The Baetas still purchase their grapes from such farmers, and keep their own plot where they test different varieties—Diogo’s special interest as he searches to incorporate new techniques and grapes into the portfolio they produce moving forward—along with “lost” varieties he’s discovered in his research. 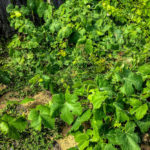 Diogo estimates that planting a hectare costs €15,000, with €2,000 investment in care per year, with three years minimum until you have harvestable grapes. The sand-grown grapes fetch €2,50/kg while others (which go into their IGP or VR wines) fetch only €,50/kg, making for €5,000/year return on the less costly grapes. Therefore, he calculates ten years minimum to get a return on investment. So the only way to make money is to control more of the vinification process (the “transformation”) as the returns above are those for farmers selling to the coop. 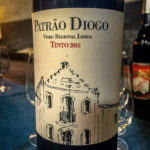 This thinking places Diogo firmly amongst the ranks of the new Portuguese vintners. 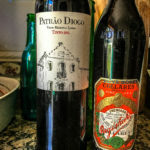 Still, these softer, fruitier wines are what they sell within the Portuguese market, which has come to expect these tastes. 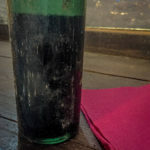 But in the dark reaches of the old adega, wines from 1934, 1967 and 1969 rest under a caring film of dust—the deep aubergine, nearly opaque Ramisco tinto develops so much acidity in its youth that it takes many years to come into its own. 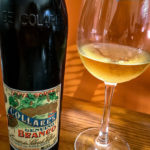 The older vintages show off their complexity as the acidity smoothes away; we had a chance to try the 1969 Ramisco during our first tasting there. 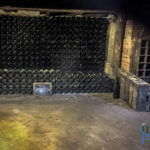 Back then, the wines were fermented 100 percent with the stems; now they only ferment 20 or 30 percent with the stems, to help reduce the tannins that are unnecessary now for the wine’s storage potential. 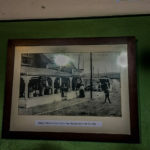 Since that initial visit, we’ve stopped by several times, bringing guests and picking up bottles of their everyday wine, Patrão Diogo, tinto and branco, for €5 a pop to enjoy with a broad selection of seafood to grilled meats to petiscos. 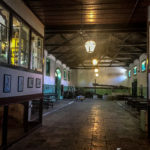 They produce roughly 5,000 liters of the Patrão Diogo wines; and 2,000 liters of the Ramisco, and 1,000 liters of the Malvasia de Colares white. Much is earmarked for the export market: roughly 25 percent goes to the U.S. The adega is currently sold out of the 2008 and 2009 reds, and the 2014 and 2015 whites. Release of the 2016 white will come around the beginning of September, with the bottling of the 2010 red shortly thereafter. 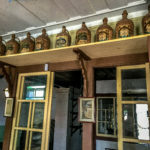 The vestiges of the adega’s history not only float in the air, but take up residence in the gravitous mahogany tons and the old grape press looming in the corner. The echoes remain in the vintage style of the DOC name “Collares” printed in that elaborate calligraphy on the labels touched with gold. 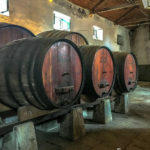 The forward thinking, though, will help ensure that the unique character of the Colares wines carries on. 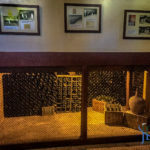 Composed of Arinto and Fernão Pires, the wine’s grapes grew in clay soil in the Colares region but, because of this, fall outside of the DOC’s restrictions. Fermented in stainless steel, with no oak aging. The wine presents a honeysuckle nose with a bit of wet cement. A creamy mouthfeel balances a hit of lemon zest on the palate. 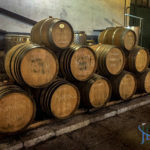 Composed of 100% Malvasia de Colares, the current white vintage was aged in mostly used barrels for three months. 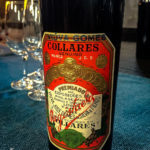 It showed a bit of lemon sabayon and thyme on the nose, with a bright lemon juice taste and a salty, marine streak typical of the Colares wines. Excellent with local seafood, mariscos. We take another look in 2018; see below. Composed of Castelão and Aragonês grapes, this dry red casts an elegant shadow for its price. Dark plums on the nose give way to plum preserves on the palate, with medium tannins. Can age 2-3 years, at least. Composed of nearly 100% Ramisco with some field grapes in the blend. 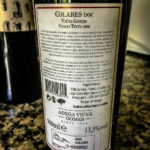 This wine hit a benchmark of 13.5% abv, a high for Colares reds. 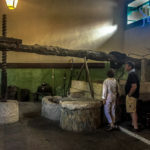 A long maceration was necessary because initially little color showed in the wine—a common issue with the Ramisco grape. While the wine, at nine years since harvest, is considered young, its dusty lilac and bramble nose show the complexity to come. A cough-drop side note along with a strong grape soda flavor demonstrated the wine’s youth. We take another look in 2018, see below. 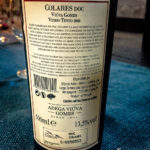 Composed of 100 percent Ramisco with 100 percent stem fermentation, this wine was the last one bottled on the adega’s “old machine.” It came to 11 percent abv, whereas 12.5 percent is considered normal for Colares Ramisco. This is a wine for contemplation—I found salted peanuts and leather on the nose. The middle part of the palate has dropped out, but the wine returns for its parting shot, with fleur de sel and dried plums. We purchased three bottles on our August 2017 visit and kept them in cellar storage for a year. Below, our notes on these wines with a year more in the bottle. 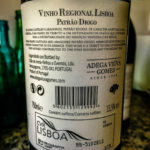 We also picked up the newest Patrão Diogo branco to taste. 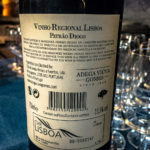 We’ve had the adega’s wines many times in the past year, with a lot of consistency in their quality. Composed of Arinto and Fernão Pires. The latest version of Adega Viúva Gomes’ white is lovely, with crisp white peach and orange blossom on the nose. A marine influence gives it a flinty cast. More tropical notes on the palate, plus a hint of almond as it warms up. Composed of 100% Malvasia do Colares. After another year of bottle age, the white shows warm straw and pear on the nose with a breath of the ocean. The acidity has mellowed but it’s still taut. Bright lemon peel on the palate, with the underlying saline growing more distant. Almost a horsey undercurrent, but not unpleasant, like a well-kept barn. Composed of Castelão and Aragonës. The grape scent evokes a bit of candy on the nose, along with black raspberry. Fuller dark fruit on the palate, with black plums and black raspberry still shining. A real winner still, at 13.5 percent abv. More people should know about this wine. Composed of almost 100% Ramisco, as above. With one more year in the bottle, the wine keeps coming into its own. Rich roasted plum on the nose, with newly tanned leather to taste, along with a salinity that few reds can carry without marring the blackberries. The Ramisco de Colares achieves this after time. After an hour, some spice comes through, a bit of star anise, with the blackberry even more profound. The next day, it has lost a bit mid-stream, but still an enjoyable glass.